This is an issue of timely importance. May 2016 sees the centenary of the sudden death of the great German composer Max Reger, and few issues commemorating that event will have greater significance than this. We are particularly proud to bring these exceptionally rare recordings of Reger�s music performed by the great violinist and composer Adolph Busch, who as a young man knew Reger personally. Reger, in turn, praised Busch�s performances of his music highly. 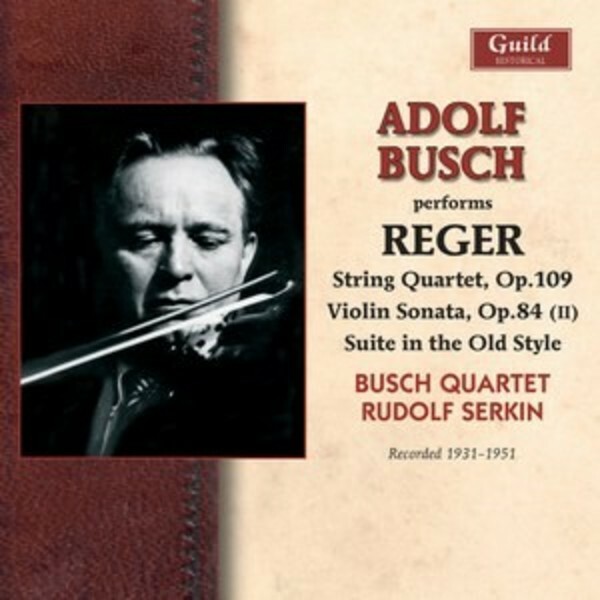 These truly historic recordings have been remastered very well and all admirers of Reger�s music, as well as those who love music from the late-Romantic period, will have to have this unique CD, in which Busch is partnered by his son-in-law, the legendary pianist Rudolf Serkin.